Wecome new WRC member Emi Noelle Simonds! WRC has a new and probably very speedy member! Emi Noelle Simonds was born to Naoko Ishibe and Dan Simonds on Friday, March 18, 2011. 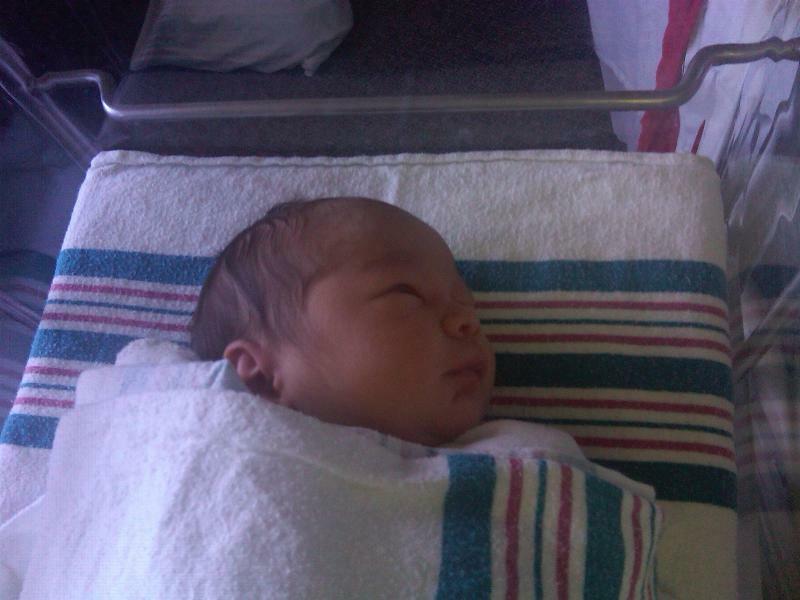 6.8 lbs, brown eyes, dark hair. Mom, Dad and Baby are fine. A big, bad CONGRATS to Dan and Naoko from the club. 1. Brian Savitch’s WRC-Club-Party date Farah (below) was mistakenly identified as (a) his wife, and (b) Mrs. Vegan-ator. She is neither. We sincerely apologize for the lack of fact-checking. ^^ This is not Mrs. Veganator. The Editor regrets the error. Way back in April of 1989, the first running of the Nike Women’s 8K drew the best ever women’s 8K field in Washington, DC. Lynn Jennings ran a US best time of 25:07 and nine WRC women broke 30 minutes (with Maria Pazarentzos leading them 27:33). Even further back in 1985, Jim Hage ran 49:04 at the Cherry Blossom 10-miler. Three WRC men broke 50 minutes, 26 were under 60 minutes, including current members Jay Wind (55:27) and Bob Trost (57:41), and Patty McGovern took 9th place overall for the WRC women, with a fine 55:46. The following year, 1986, was even better for the Club, as six WRC men broke 50 minutes (with WRCer Steve Spence clocking 47:37), and 35 WRC men and two women broke 60. 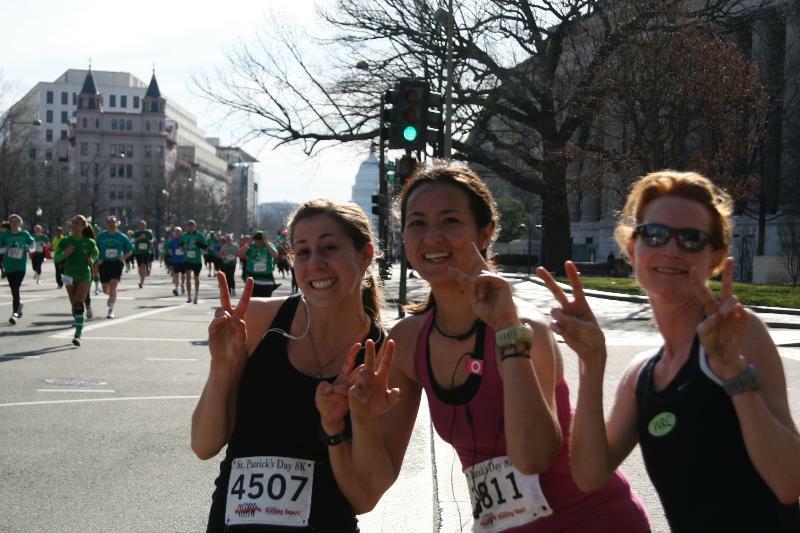 National Marathon, Half-Marathon and Team (Half-Marathon) Relay – Saturday, March 26, 2011, Washington DC. Team Kendra (John Kendra, Emily Buzzell and James Scarborough): 2nd out of 281 teams, 1st in Open division. Time: 1:27:10. Washington Running Club (Amanda Hamilton, Christine Hackman and Joanna Russo): 10th/281, 1st in RunClub division. Time: 1:38:52. Jay Jacob Wind: Lower Potomac River Marathon, March 13, 2011, Piney Point, MD; 61. 3:55:18, 1st M60+, 65th overall, qualifying for 2012 Boston Marathon. Carla Freyvogel: The Ocean Drive 5k, March 19, 2011, Miami Beach, FL; 53. 23:38, 2nd in 50-54 AG.